In this stunning book, Daniel Start continues the journey he began in Wild Swimming and Wild Swimming Coast. His new book, Wild Guide, takes us through the luscious pastures of the South-West of England and shares 500 of the beautiful, exhilarating and often-hidden rural locations that are within our grasp. 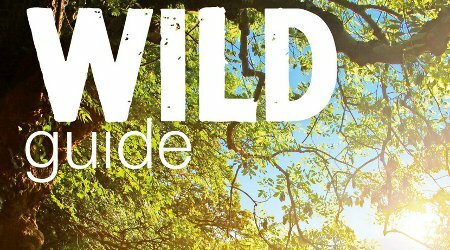 Every page in Wild Guide bursts with vibrant photography and essential tips about the best beauty spots, pubs, routes and activities for families, couples and rambling friends. Just glancing through the book inspires childhood memories, whether it’s scrambling along sunset hill forts, wrapping up on a summer night walk, camping in the wilderness or sleeping in a treehouse. Wild Guide tells you where to find them all. The guide also lists the most exciting places to experiment with wild food and accommodation (ever fancied staying in a gypsy caravan?) So whether you swim, sunbath, birdwatch, picnic, hike or just like to laze in an idyllic beer garden, Wild Guide can take you there.